Have you heard of Keratosis pilaris? It is a quite common skin disorder which is seen in people of almost all ages. It is a benign disorder and manifests itself with red, rough, small bumps. At times, tan bumps are seen as well. These bumps appear just around the hair follicles and can be seen more commonly on legs, arms and buttocks and rarely on the cheeks. These bumps result in chicken skin and goose skin appearance. What causes Keratosis pilaris is not known yet. However, a lot of doctors believe that Keratosis pilaris is caused by overproduction of the keratin in the skin. This is known as hyperkeratinization. Since at least 50% to 60% pf the people suffering from this condition have generic predisposition, many believe this condition is hereditary. 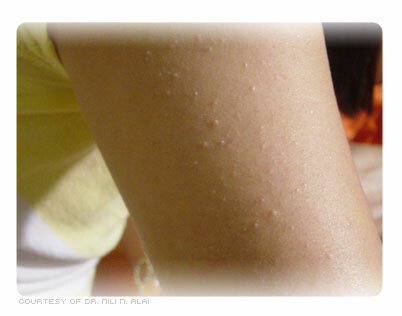 Till date there is no available cure for Keratosis pilaris and no treatment is known. At time the conditions heals automatically.